If you’re looking for homes for sale in Belleview Real Estate, you’re at the right place. Our website lists each and every Belleview home for sale available on the My Florida multiple listing system (MLS). Our first and foremost priority are our clients. If you’re looking to buy a home, contact us now. We’ll make sure, you’re aware of all the hotspots in town that match your criteria. Owing to our years of experience, we can guide you through the sale in a stress-free and smooth manner avoiding all the headaches that usually come with making big investments such as buying a home. We’ve several Belleview FL real estate listings on our website, browse through the list to find the top options that catch your eye; once you’ve your options, we’ll help you refine your list by virtue of our knowledge in the market, and together we’ll tour the locations until you find the home that suits you. From picking out the right home to closing the deal, we’ll be with you every step of the way. Call us now for a free consultation. Selling a home is often packed with a lot of stress and many surprises; Buyers can often highlight issues that you may have missed thereby reducing your bargaining power and demanding price cuts. We’re here to make sure that doesn’t happen to you. Owning to our decades of experience in the field, we’re able to navigate a sale in a manner that ensures that the seller has maximum bargaining power. We’ll evaluate your house, and help you determine the best price for your home eliminating the chance of any surprises from the buyer. Our experts are employing the latest tools and technology such as blogs, social media and online listings to make sure that your Belleview home for sale is exposed to the maximum number of buyers. With us on your side, you’ll be able to close the deal quickly and efficiently and move on with your plans. Contact us now if you’re planning on selling your Belleview FL Home. Belleview is a city in Marion County Florida, It is a part of Ocala Metropolitan statistical area. The city has land area of 3.227 square miles, and contains 0.004 square miles of water area. The zip codes covered by the city are: 34420, 34421. The city was named after the daughter of one of the original settlers named “Belle”. “Belleview” means beautiful view, and it rightly explains the natural beauty that the city has to offer. Homes for Sale in Belleview FL come in various different sizes. From single family homes and studio apartments to large 4-bedroom homes, Belleview has everything. The home prices in Belleview FL have appreciated by 2.9% in the last 12 months. Considering the affordable asking price on Belleview home for Sale, now is a great time to invest in Belleview FL real estate. Not only will you be able to buy good homes at a bargain price, you can also expect capital gains in future as prices rise over time. Belleview is a “City with small town charm”. It offers you all the amenities required for a good life, and yet it as preserved the peaceful and relaxed small town lifestyle. There are several restaurants, parks and churches in the area. A new library has also opened up in the city, and more projects are underway. 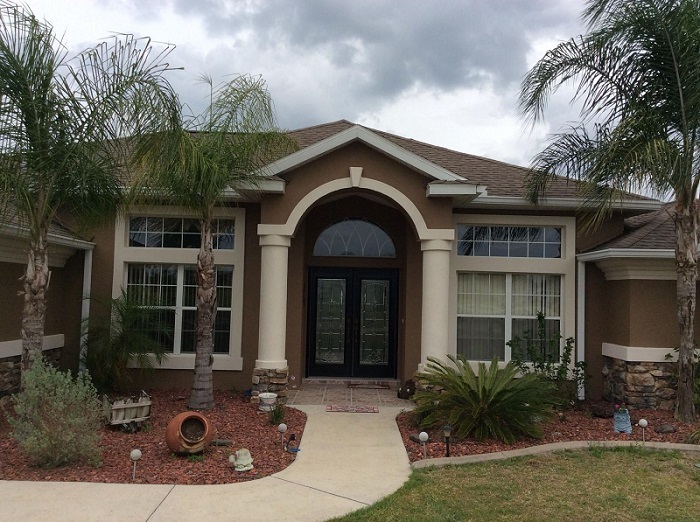 Some of the homes for Sale in Belleview FL offer the mesmerizing view of Lake Lilian. The locals are very fond of the lake and consider it as the focal point of their town. Many civic events and birthday parties are hosted at Lake Lilian all year around. A small fishing dock is also available on the lake for children and senior citizens. It’s the center of town where everyone gets together from time to time. If you are a sports fan, Search for Belleview homes for sale near the Belleview sports complex. The sports complex an 80 acre field which is used by both young and adult sports teams throughout the year for softball, football, baseball, and many other sports. According to the latest census in 2014, the population of Belleview was 4,512. The population density in the area was recorded to be 1,398 people per square mile. Out of the total population, around 53.75% are female, and 46.25% is male. The median age in the city is 32.90. 44.28% in the city are married, and about 10.86% are divorced. The size of average household is 2.10. 17.3% of the married population has children; around 33.59% of the population is single with children. Belleview FL enjoys a warm and temperate climate. It receives 231 sunny days per year, and 52 inches of rain annually. The number of days having precipitation have recorded to been 118. The July high temperature recorded in July in 92 degrees Fahrenheit. January Low in the city 46 degrees Fahrenheit. Belleview FL has access to numerous state-of-the art medical centers. There are 23 acute-care centers within a 60 mile radius of the city, and 53 doctors reside within the city limits of Belleview FL. Average emergency room wait time is 38.8 minutes. There is also one Veteran’s hospital within 60 miles of the city. Some of the hospitals near Belleview FL are Munroe Regional Medical Center, Ocala Regional Medical Center, Leesburg Regional Medical Center, Citrus Memorial Hospital and more. Out of these the lowest average wait time of 18 minutes is at Ocala Regional Medical Center. Most people in Florida drive their own cars, some people use bikes as well. Average one way commute time from Belleview FL is 20 minutes. Around 66% commuters drive their own cars, and about 16% commute with others. The services of Uber and lift are available in the city as well. New Homes for Sale in Belleview FL- Do you want to buy one of the newly constructed Belleview homes? We can help you navigate all the newly constructed homes in the area and find the one that matches your real estate requirements. We’re in touch with all the finest builders of Belleview, and there is no Belleview new construction home for sale that slips our eye. With over 30 years of in-field experience, in-depth market knowledge, state-of-the-art technology, and an exceptional team, we can help you achieve your real estate goals like no one else can. Call us now to schedule a free consultation. Let us know how we can best serve your Belleview real estate needs.